Intoxicated Driver Rolls Over Truck, LIVINGSTON, July 20, 2008 - At approximately 3:50 pm on July 20, 2008 a red 2000, Chevy S-10 driven by Cecil Tyner, 52, of New Caney, was southbound on 3126 when his truck went off the road to the left near the entrance of the Texas Landing Subdivision. Tyner's truck rolled and came to a rest on its side in the drainage area on the side of the road. According to witnesses, Tyner then attempted to flee the scene and tried to hideout at the Airport Quickstop in 350 and 3126. Law enforcement found Tyner located there and returned Tyner to the scene of the accident. Witnesses also reported seeing Tyner throw a load of beer into the woods before he fled the scene. DPS Troopers Thomas Michalic and David Morris were dispatched to the scene. Also at the scene was local Game Warden, Chuck Cotton, and Polk County Sheriff's Deputy, Chris Lima. 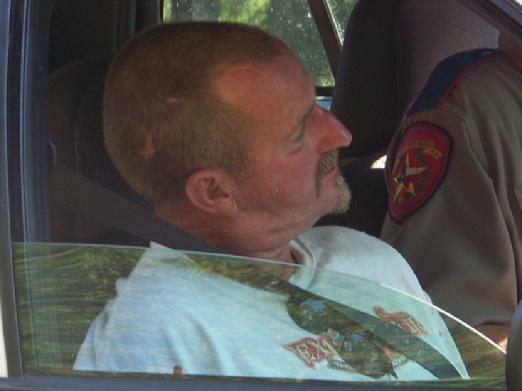 Tyner's beer was retrieved from the woods and Tyner was loaded into a DPS unit. An ambulance from Americare arrived and the decision was made to transport Tyner to Livingston Memorial Hospital for a cut that he had on his head. Traffic on 3126 was not blocked as the scene was being investigated and cleared. Tyner's truck was towed away by a rollback wrecker from Harwood Wrecker Service and will be stored at Harwood storage in Livingston. Tyner was later booked into Polk County Jail for suspicion of DWI. The scene was cleared up shortly before 5 pm.